When I first started eating Paleo, my budget wasn’t much of a concern. I had a really good job at the time and no serious financial concerns. I would drive down to my local, whole animal butchery, order any cut of meat I wanted, a few sausages, duck, and even those $30, pasture-raised chickens… all without thinking too much about the cost. Fast forward a few years, and I had to change careers which meant much less money in my pocket. So little, in fact, that finding the balance between making rent and buying food was a serious concern for quite a while. At this point, I had seen the benefits of eating Paleo and was determined to stay the course. But I was really scared I was going to have to start eating cold-cut sandwiches and spaghetti because I was so broke. Buying premium cuts of meat was out. No more pasture-raised chicken for me. Was it true? Is Paleo only for the people who can afford grass-fed beef and expensive eggs? 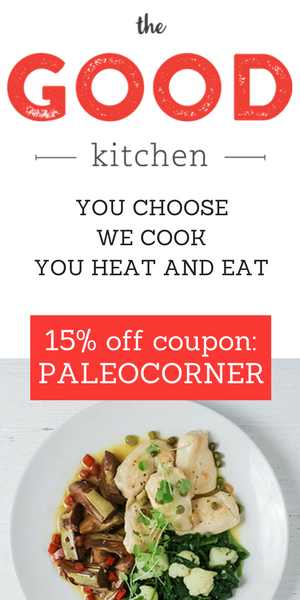 While there are a few sacrifices to make, I managed to eat even more Paleo when I was broke. You see, when I could afford to eat out or buy premium ingredients to cook with, I often “cheated” on burgers and tacos, fooling myself that I was balancing it out with an otherwise Paleo diet (read more about my sugar and carb battle here). When my pocketbook got light, I had to choose my food very carefully. I simply didn’t have cheating money for beer, tacos, or burgers. I knew I could find super cheap versions of all of those and “live,” but I also knew what kind of damage those “foods” would do to my body. There was no way I was going back to my pre-Paleo days. That’s really it in a nutshell. Nowhere on that list does it say you have to eat pasture-raised beef or chicken (although I fully support those options if you can afford them), or that you have to buy produce from the farmers market. No. It says what Paleo was meant to be: a sensible human diet based on ancestral health needs. And if that means you have to bite the bullet and buy factory farmed meat because that’s all your budget will allow? Then so be it. While we should always strive to push the market in a better direction towards regenerative agriculture, the market isn’t readily available to all of us yet. Compromises must be made for individual health, presuming that this is a short-term endeavor. Buy the healthiest animal meat you can afford – This is where you’re going to have to cut the most corners. And honestly, it wasn’t that bad at all. I think at that point I had trained myself to believe that anything less than a pasture-raised animal was basically poison. The good news is, there are enough people demanding cleaner animals that you can still find quality meat at affordable prices. You may have to skip Whole Foods but you can still find meat that’s hormone and antibiotic free. Or in the case of chickens (which I bought a lot of during this time), you can easily find cage-free and antibiotic free chickens. Yes, I realize there are many problems with the way food labels don’t tell the whole story, but if your choices for dinner are pasta, bread or mystery frozen meatballs, a less-than-optimal chicken is still by far the better choice. Also, many grocery stores now offer pre-cooked chickens that I’ve seen for as low as $7 (that can be 4 to 8 meals depending on how you slice it!). Shop around, and you can find some great options. Remember what you’re really after here: protein and veg. NOT grains. NOT processed foods. A box of mac an cheese is a lot cheaper now, but how much will that cost your health down the line? Don’t be afraid of soups – You can make batches of soup at home for really cheap. Add some veg, water, or cheap chicken stock, and you’ve got some great lunches. There are plenty of soup recipes to make some fantastic soup! Many soups look fancy and difficult, but I found that you can do substitutions for most of the ingredients and still have great tasting soup. Also, there are lots of great soup companies out there now fulfilling market demand for high quality, pre-made soups. Check the freezer or shelves for decent options. Don’t buy snack food – Turns out you don’t really “need” all those Paleo snack foods after all. When you’re counting dollars, that $2-$5 Paleo bar, nuts, or other snack foods become much less important than they used to be. You really can make it from breakfast to lunch without a snack after all! Buy organic at the “regular” grocery store – Here’s a not so big secret: organic produce is organic produce no matter where you buy it from. You can buy it at Whole Foods for a markup, or you can buy it at the “normal” grocery store for much less. There’s really no reason to pay more for exactly the same product. Even if organic is too much, remember your goals: NOT grains and NOT processed. When considering those options, non-organic fruit and veg are still light years beyond that crap in boxes that comes off an assembly line. Pre-made grocery store food – Like those pre-cooked chickens, many grocery stores now offer entire pre-cooked meals. While these may be a little more expensive than cooking them yourself, it’s good to break up the routine when you need some alternative protein and veg. You’ll have to navigate these carefully since they’re often cooked with vegetable oils (seed oils). So, don’t be afraid to ask. Some of the delis even have decent salads and side dishes. Buy the big containers of these and stock up for lunches or sides for your dinner. I find that at lunch, I don’t really need that much food anyway, so I can “splurge” a little on these deli salads since I’m rationing them throughout the week. I save my big meal for dinner at home. 1 whole chicken, rubbed down with salt and pepper. Don’t be afraid to buy the cheap, generic brand salt and pepper in the big containers. These will last you forever and are the basic seasonings for everything (you don’t need that sea salt from the shores of Spain that badly!). Buy some cheap shakers of dried rosemary and thyme (splurge on the fresh stuff as often as possible!). These will work with nearly any protein you’re making, especially chicken and pork. Rub it on along with the salt and pepper. Choose 1-3 veg combinations to keep things interesting: carrots, broccoli, sweet potatoes, butternut squash, cauliflower, celery, shallots, onions (onions are super cheap! Roasted red onions add a power-punch of flavor), asparagus in season isn’t too expensive, mushrooms are always cheap (you may want to put in less hardy veg towards the end so they don’t get overcooked), zucchini, pears, apples… you get the idea. Toss your veg in seasoning and olive oil (buy the generic olive oil… it’s basically the same as the brand-name stuff). Cover a baking sheet with tin-foil (or a large baking tray) and set your chicken in the middle, breast-side up. Spread out your veg evenly around the bird. Put the tray in the middle of the oven uncovered and roast for 1 hour and 15 min. Check the temperature of the inner thigh of the chicken (invest in a decent thermometer. Don’t risk a trip to the hospital just because you wanted to save a few bucks. Read here for more about food safety). If it’s at a minimum of 165°F, you’re done. If your chicken is being particularly stubborn and not cooking all the way through, you can cut the skin of the thighs so the legs are more spread open. Roast for a few more min. until you hit 165°F (also try positioning your chicken with legs towards the back of the oven. It tends to be hotter back there). 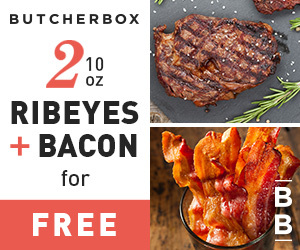 Keep your eye out for deals on pork chops and premium meat cuts. If the store has a surplus or needs to push these fast, you can save a lot and get some (good enough) protein to cook up. I often found those thinner sliced pork chops in the family size pack for really cheap. I fried those up in a pan with some coconut oil all at the same time. This is also a good time to saute some zucchini, mushrooms, cherry tomatoes, or peppers in that pork fat. Cook a big batch and put all that in the fridge for the week. Slow cooker stews are a fantastic and hearty option. And cheap too! Stew beef is often the cheapest cut because it’s less tender. That’s why we slow cook it — to break down that beef into tender, juicy chunks. There are tons of slow cooker paleo recipes that only require a few basic ingredients (again, don’t stress about having to buy every last spice or ingredient on the list — some chuck beef and carrots with salt an pepper will still taste amazing). Look around, find the cheapest ingredients you can afford, make a big batch, and have a hearty meal waiting for you when you get home. 1lb chuck beef (or any similar cut of beef, just ask your butcher). You can chop it into pieces but I like to leave the beef in one piece to cook. 2 stalks celery, roughly chopped. 1 large carrot, sliced thickly. 1 container mushrooms, roughly chopped (any type of mushrooms will do). Large handful of shallots, peeled and cut in bite-sized chunks. 1 tsp each: salt, pepper, paprika, oregano, rosemary (salt and pepper are all you really need if you don’t have these other spices). 10 garlic cloves, finely chopped. Rub all the spices and garlic on meat first, then place it in the slow cooker. Add all the veg on top. Cover and cook on the low setting for 8 hours. No need to add water. It will make it soupier (unless that’s what you want). As the veg cooks, plenty of moisture will be released to keep things juicy. You can then pull the meat out and slice it, shred it, or cut it into bite-sized chunks. That’s it! Note: for variation, coat the beef with a 6-oz can of tomato paste. It’ll give everything a tangy taste. After my year+ of hustling on a budget, something amazing happened. I lost even more weight and toned up in a way I didn’t think possible in my early 40s. I constantly had friends who hadn’t seen me in a long time comment on how I looked. All I was doing was eating as cleanly as possible and working out a little bit. Could I afford those snacks? Nope. Didn’t need them after all. Could I treat myself to beer and tacos on the weekend? Nope. Didn’t need them either. Did I really need 100% grass-fed New York strip steaks? Nope. I could do with beef stew just fine. Did I really need a $30 pasture-raised chicken? Nope. I could roast my own grocery store bird with just as much satisfaction. Did I really need to eat out at every lunch at work? Nope. A little soup or salad was more filling than I thought. Even now, when I can afford a few premium ingredients, I still choose the economical route more than often. It helps me to be more conscious of my food. And I think that’s the biggest lesson I learned from being dead broke and still able to eat Paleo: I had to really and truly think about every last thing I put in my mouth. It helped me to be a much more conscious eater all around. I found what my body truly needed and what it didn’t. I still seek out the cleanest animals possible, but I fret less about its purity and more about the underlying concept of Paleo eating: whole, unprocessed, non-grain, non-sugary foods. That’s really all it is at the core level. In fact, in many ways, when I ate on a shoestring budget, I was being more Paleo than I was with all those high-end meats before. Our ancestors made due with the best of what they could acquire at the time. Things were certainly bad during parts of the year, and they made the healthiest choices they could at the time. We should strive to do the same. Make no mistake about it, I’m a strong believer in ending factory farming and supporting regenerative agriculture with our purchases, but I also want as many of my fellow humans to be as healthy as possible. In our current food market, things aren’t quite aligned towards us (yet). In the meantime, whatever your budget is, be a selfish eater. That’s right. Do what’s best for you and your body. If that means eating a factory farmed animal rather than a pizza for dinner, you’re still way ahead of the game. Be proud of that. Don’t be hard on yourself because you couldn’t afford that grass-fed steak or pasture-raised eggs. Even with less than optimal food choices, you’re still doing better than the majority of the Western world right now. We may not have the most affordable Paleo options right now, but if we keep pressing forward, future generations will be able to live healthier, happier lives based on the decisions we make now, no matter what our budget is. Now go roast that chicken!